As a social media manager there can be a lot of grey areas when it comes to client management. Compared to many industries, this field of work is much more modern and new and there is not as much transparency out there when it comes to setting guidelines. That is why I always like to ensure that my clients know exactly what is required of them and what services they will be receiving. In your client contract state which platforms that you will be managing for your client. It is important it is clearly stated in your contract how many platforms you will manage and create content for and which was those are specifically. 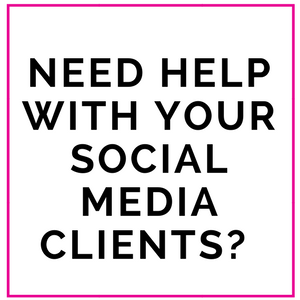 For example you may have started with a Facebook and Twitter management program for your client and now all of a sudden they want to take advantage of real time stories and dive into the Instagram and Snapchat word. Thats great, however this means much more work for you so you will want to ensure that you state that in your contract that each extra platform means x amount of dollars, or you may take the hourly approach and state that more hours spend on other platforms means less time to devote to others. As a social media manager you need to let your clients know when their deadline is to provide content. Sure you may be able to post something as soon as they send it to you, but keep in mind that may not always be possible and therefore a guideline should be set. A great rule of thumb you can set with your clients is the 24 hour rule. If they upload a photo or post let them know that any content provide will be up within 24 hours. Have a conversation with the client about who will be creating the content for blogs, social media posts and videos etc. Will they be giving you the wording or is this something that you will create yourself? 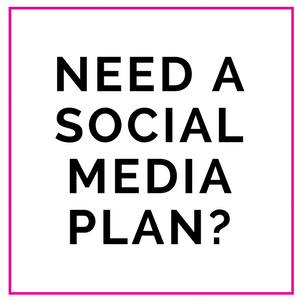 You will also want to talk about the content plan for the week and if they have a specific strategy or if this is something that you will create yourself and present to them. 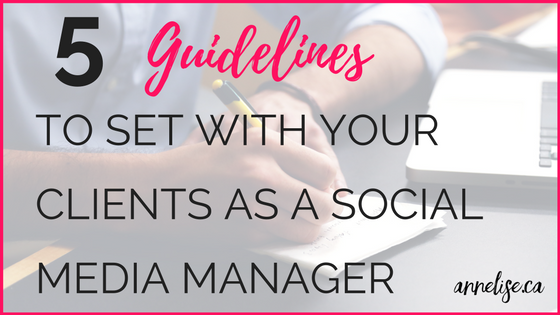 As part of a social media managers duties, you will play the role of customer service for the client. When visitors come to each site they may ask questions or want to know more information. If you are clear about the company you are working for and their products and services you may be able to answer these questions for the client. However, for certain clients that you are unsure of you may respond to customer inquiries that lead them in the direction of the right person. Have this conversation with your client and clearly state with them how you will respond and if they want you to take care of all responses make sure you ASK for a script or clear understanding on how to respond to customers. This will get much easier as you build a stronger relationship with your client. As a social manager, of course one of your responsibilities is to report your work and the results that are a clear indication of your efforts. Let your clients know whether you will be providing weekly, biweekly or monthly reports that outlines all the analytics and metrics for them to measure their results. On top of reports, scheduling a regular meeting is important to discuss strategies going forward. Now that you have a clear understanding of what is required both by you and your client you can move forward with the relationship in a professional and comfortable manner. Now all you have to do as. 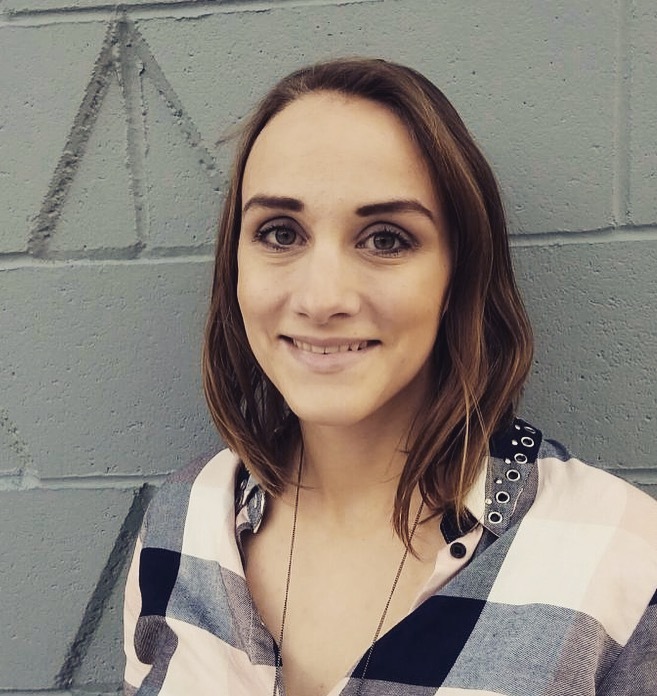 a social media manager is rock it! Read More – Should Social Media Managers Work On Evenings and Weekends?